Five Atlantic Canadian technology startups were selected to each receive a $25,000 investment from Volta Cohort, a microfund co-founded by Volta Labs, the Atlantic Canada Opportunities Agency, BDC Capital and Innovacorp. The companies will also receive mentorship from experienced entrepreneurs and resources to help grow their businesses. 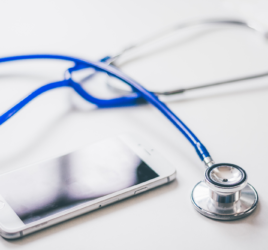 Talem Health Analytics (Sydney, NS) – A healthcare technology company that uses machine learning to predict outcomes in musculoskeletal rehabilitation, providing financial and rehabilitation insights for private sector insurance. 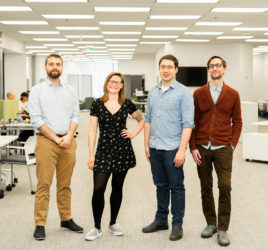 GreyLit (Halifax, NS) – A knowledge mobilization platform that increases access to grey literature by allowing members to publish and share their research while nearly instantaneously searching for and reviewing the research of their “True Peers” around the world. ColourSmith Labs Inc. (Halifax, NS) – Creating North America’s first direct-to-consumer contact lenses that restore a full spectrum of colour in red-green colour blind individuals. UAV Control Tower (St. John’s, NL) – A Newfoundland and Labrador-based IT company that has developed a drone monitoring system used by air traffic controllers to approve, manage and record drone flights. Andy Fillmore, Parliamentary Secretary to the Minister of Democratic Institutions and Member of Parliament for Halifax, was onsite to announce a $200,000 Government of Canada investment in Volta Labs Incorporated. 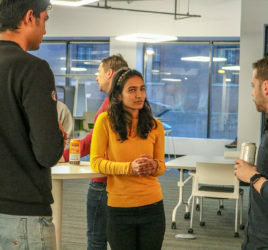 The contribution, made through the Atlantic Canada Opportunities Agency (ACOA)’s Business Development Program, is helping Volta Labs launch Volta Cohort, supporting the hiring of a full-time Program Manager as well as operating costs associated with events, meetings and outreach. “Canada is a country of innovators. Curiosity, courage, creativity and a collaborative spirit are what lead to the kinds of advances and technologies that improve our daily lives and drive our economy, and our country, forward. Non-profit tech super hub Volta Labs embodies all these characteristics. It is renowned as a place where founders help founders. Volta Cohort is an important addition to its programs,” says MP Andy Fillmore.